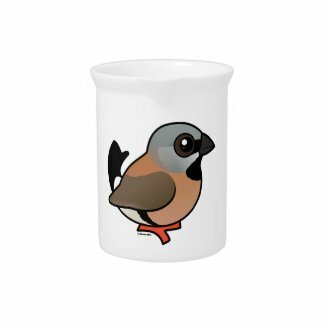 The 5th bird in our 2014 Bonanza is an Australian songbird, the Black-throated Finch! 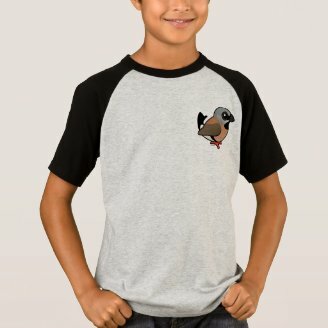 Black-throated Finches are granivorous, meaning they eat seeds and grains. They are endemic to Australia, where they are found in the northeast of the country, in Queensland. Historically they were also found along the eastern coast down in New South Wales, but their numbers have been declining. The species overall has a conservation status of Least Concern, but the southern population is considered to be Vulnerable by Australian authorities. 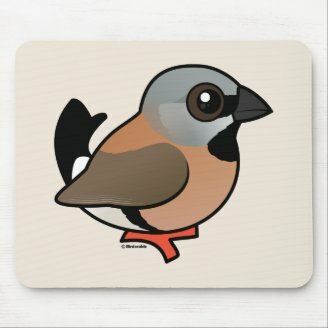 Black-throated Finches are relatively sedentary (non-migratory), though they may change location in response to food availability during times of drought. The population faces threats from several factors, including loss of habitat from human development and predation by non-native mammals. 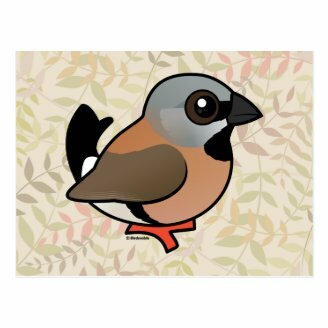 To learn more about this species, visit the Black-throated Finch Recovery Team website. 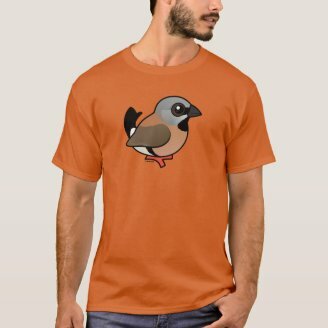 The Black-throated Finch joins Birdorable today, becoming our 563rd species. 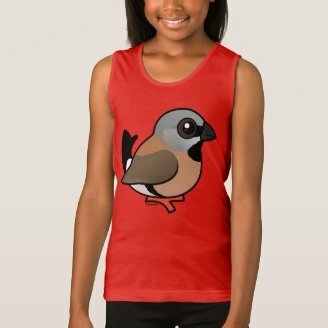 We now have 24 species of finch. 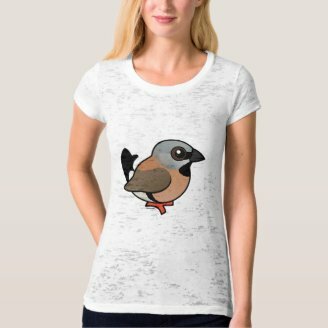 If you can't get enough of this darling Australian finch, be sure to check out our collection of cute Birdorable Black-throated Finch t-shirts & gifts!. 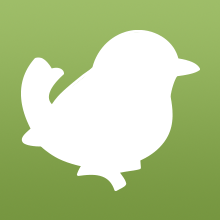 Our Bonanza continues tomorrow with a New World species that likes to live by water and is named for a feature on its beak. Can you guess tomorrow's species? 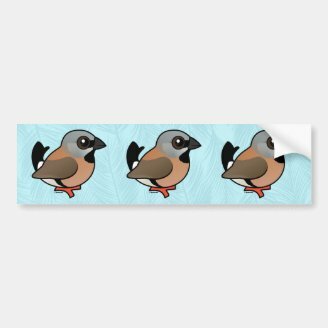 2 comments on "2014 Bonanza Bird #5: Black-throated Finch"
I think it could be a Ring-Billed Gull (Larus delawarensis) !! !